Recently I posted about having a midnight cuddle with my baby girl and I’ve just spent a 5 days/4 nights listening to and helping her learn how to sleep better at Tresillian. The facility was brilliant. The nurses were superb. The meals were average but the tea? The tea was awful. And that’s where you come in Clive of India. Have you ever tried your own tea? It’s dreadful, flavourless and weak. As a sleep deprived mother of two I rely on plentiful cups of tea to get me through my day. Lovely cups of tea that is, not inferior cups of tea. If it’s not good then it’s not a sanity break is it? 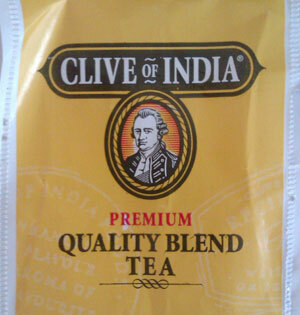 And one last thing… I have never met anyone from India called Clive.